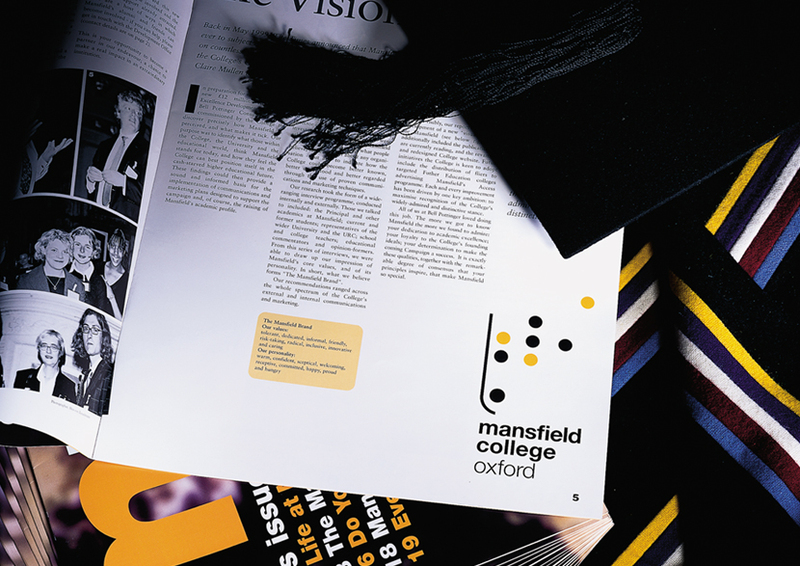 Mansfield had always been considered a slightly maverick institution in the traditional world of Oxford, and decided that it needed to clarify its ‘brand. The college considered itself as force for change within Oxford – radical, challenging, modern and open to anyone who could make the grade. A new identity and graphic language reflecting these beliefs, based on an ironic take of the old college shield. The whole visual identity speaks an under-graduate language which has helped the college to find its voice and build its profile. Furthermore, its ambitious fund-raising targets were promptly reached.